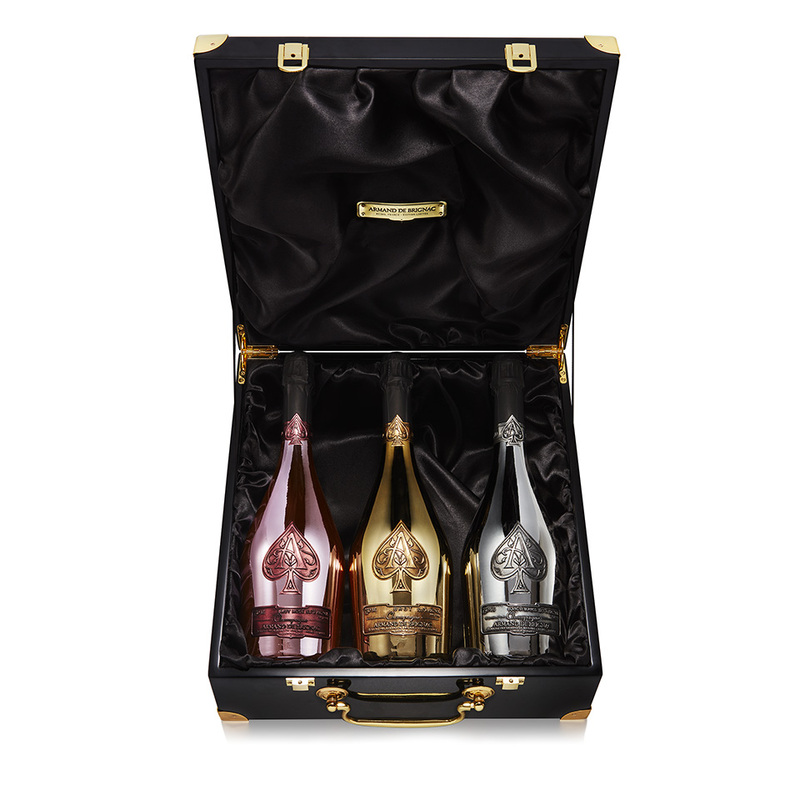 Armand de Brignac Trilogie This is a three pack item which includes Armand de Brignac Rose Armand de Brignac Gold and Armand de Brignac Blanc de Blancs Armand de Brignac Rosé is a beautiful salmon-hued wine produced in the traditional old-world style from grape to glass. Its bouquet is rich and pure with red fruits up front and delicately smoky grilled notes behind. 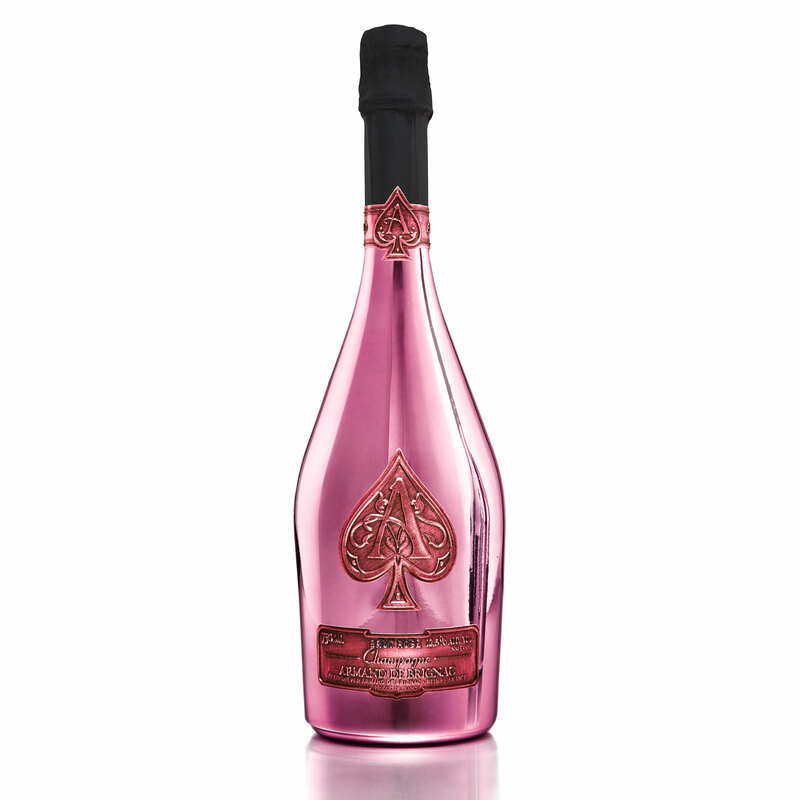 The Champagne is fresh and full-bodied on the palate with aromas of fresh strawberries and blackcurrant and Armand de Brignac’s characteristic long silky finish. The Champagne has received universal critical acclaim including a remarkable score of 98 points from wine critic José Peñín 4.9 out of 5 points from Champagne writer Kåre Halldén 9 out of 10 points from critic Davor Butkovic and many others. Our rare Blanc de Blancs is unquestionably one of the world’s finest Champagnes. 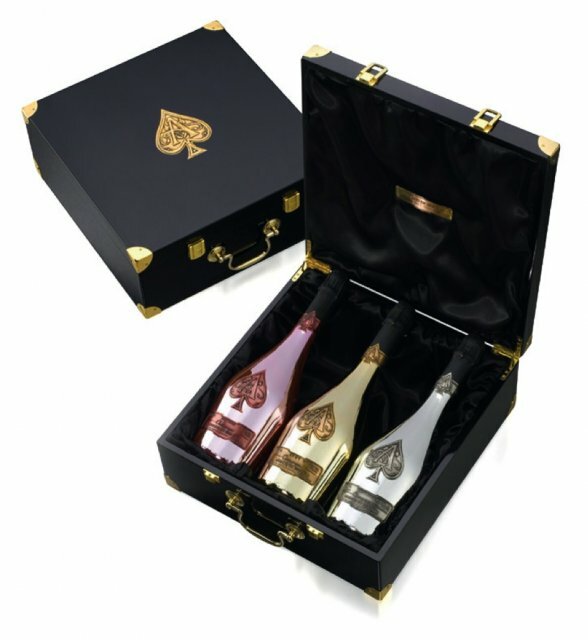 Exquisite 100 handmade and composed entirely of Cote de Blancs and Montagne de Reims Chardonnay Armand de Brignac Blanc de Blancs pours a beautiful pale gold colour with a light pure floral nose with notes of citrus fruits. On the palate the Champagne is dry and crisp with fresh green fruits and a vivid impression of young Chardonnay. Soft mousse and a long finish complete this truly exquisite experience. 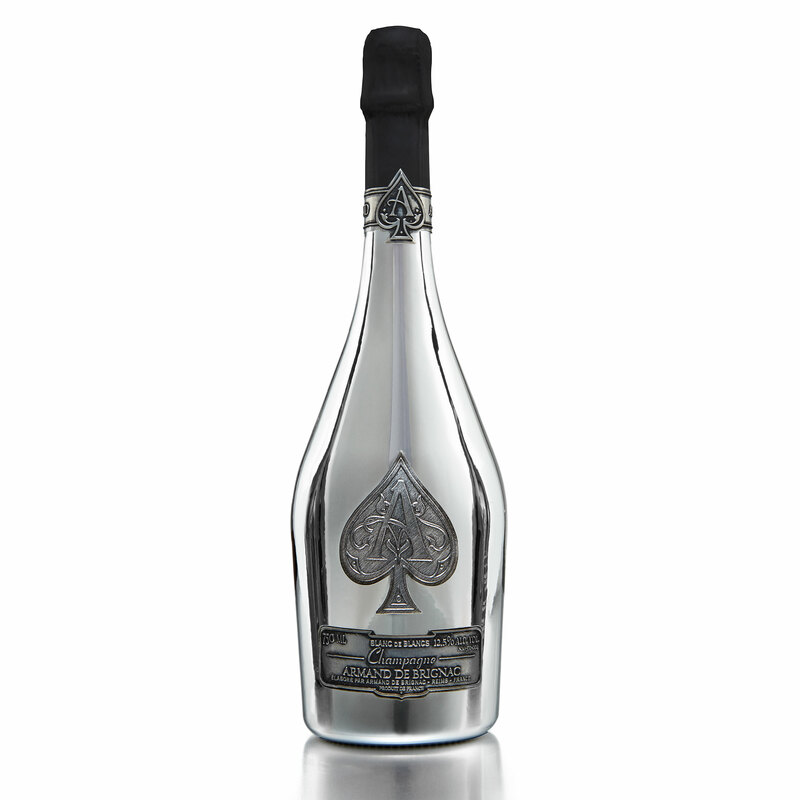 Armand de Brignac is marvelously complex and full-bodied with a bouquet that is both fresh and lively. Its sumptuous racy fruit character is perfectly integrated with the wine's subtle brioche accents. Its texture is deliciously creamy and the palate has great depth and impact with a long and silky finish. A superb and singular example of a Prestige Champagne.